The “Connaître et reconnaître” guidebook is a wealth of knowledge on plant pests and diseases and natural solutions to such problems. It provides readers with the necessary information to help them understand how diseases and pests work: how they spread in crops, the damage they cause and their typical behaviours. The highly detailed texts are illustrated with sketches and close up photographs. For each problem, the book presents suitable natural solutions and introduces readers to a more systemic approach to growing crops using biostimulation. 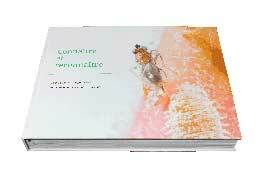 First published 25 years ago and revised in 2003, “Connaître et reconnaître”, in its latest edition, is 443 pages long, with 700 photographs and dozens of illustrations of the most common pests and diseases and their natural enemies. This new edition now includes sections on microbiology, systemic approach to crops and plant resilience.